A total of 20 OHL players competed in a thrilling 2018 IIHF World Junior Hockey Championship Tournament, with 11 bringing home medals from the annual clash of nations that took place in Buffalo, New York. OHL players left their mark, with eight contributing to Canada’s gold medal finish that wrapped up with a 3-1 win over Sweden that didn’t disappoint. After leaving for Selection Camp as the OHL’s scoring leader, St. Louis Blues prospect Jordan Kyrou (Sarnia Sting) went to Buffalo and continued his more than a point-per-game pace. The 19-year-old finished tied for second in tournament scoring, leading Canada with 10 points (3-7–10) over seven contests. Kyrou wasn’t the only one scoring though. 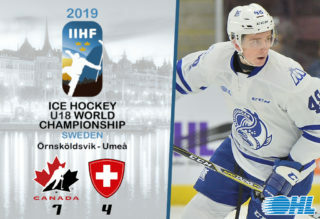 Canada had a tournament-leading 15 different players find the back of the net enroute to gold as OHL teammates Alex Formenton (London Knights), Jonah Gadjovich (Owen Sound Attack), Boris Katchouk (Sault Ste. 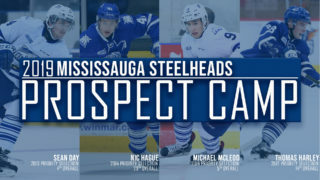 Marie Greyhounds), Michael McLeod (Mississauga Steelheads), Taylor Raddysh (Erie Otters), Robert Thomas (London Knights) and Conor Timmins (Sault Ste. Marie Greyhounds) were among those goal scoring ranks. Timmins and Katchouk left the Sault Ste. Marie Greyhounds on a 17-game winning streak to don another red and white jersey. The Hounds’ winning streak would eventually reach 23 games while Timmins led all players at the World Juniors with a plus-15 plus-minus rating in seven games. 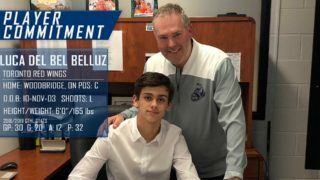 Meanwhile Katchouk saw ice time in all situations for Dominique Ducharme’s (Drummondville Voltigeurs) squad, registering six points (3-3–6) in the tournament. The two big pieces of Sault Ste. Marie’s success return to a Greyhounds club that hasn’t lost in regulation since October 27th, a span of 26 games. 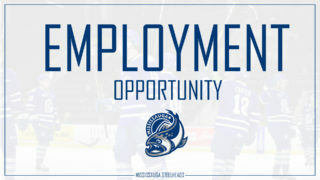 An oft-overlooked statistic, prominent OHL centremen Michael McLeod (Mississauga Steelheads) and Robert Thomas (London Knights) helped Canada finish as a dominant force in the faceoff circle. McLeod was 61.1% at the dot while Thomas finished close behind at 60% over the course of the event. Belarus captain Maksim Sushko (Owen Sound Attack) was another prominent OHL contributor. The Philadelphia Flyers prospect led his team in scoring with eight points (2-6–8) over six games, serving as a bright spot in an otherwise disappointing tournament for Belarus as they were relegated following a pair of losses to Denmark. Among the youngest competitors in the tournament, top 2018 NHL Draft prospect Andrei Svechnikov (Barrie Colts) lived up to his billing with five assists in as many games on a Russian team that also included OHL talent in Dmitry Sokolov (Sudbury Wolves) and Dmitri Samorukov (Guelph Storm). 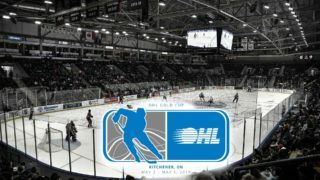 In addition to the 20 current OHL players at the tournament, an additional four also participated in graduates Victor Mete (Canada/London Knights), Olli Juolevi (Finland/London Knights), Janne Kuokkanen (Finland/London Knights) and former OHL Rookie of the Year Alexander Nylander (Sweden/Mississauga Steelheads). 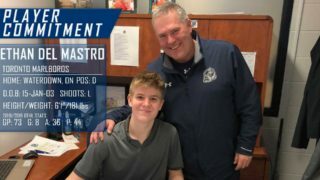 While those were some of the top OHL performers in this year’s World Junior Tournament, there were other players who helped their respective countries in ways that the statistics don’t always reveal.